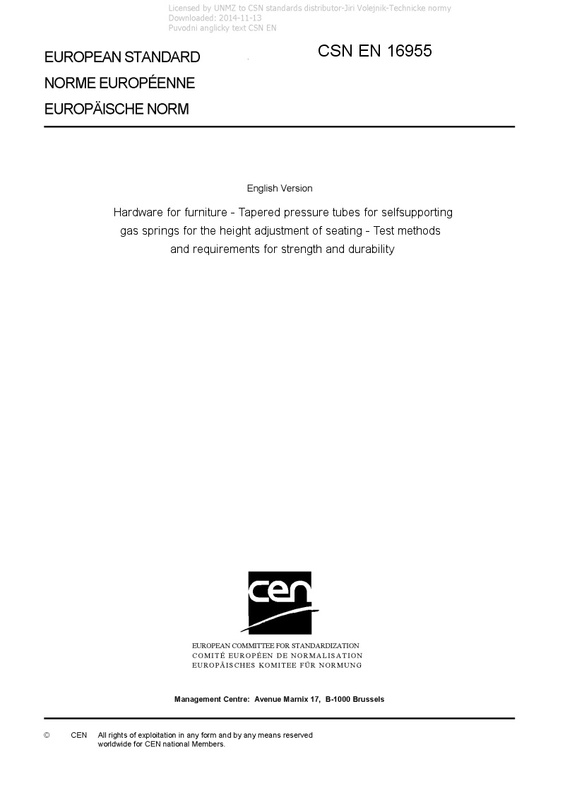 EN 16955 Hardware for furniture - Tapered pressure tubes for selfsupporting gas springs for the height adjustment of seating - Test methods and requirements for strength and durability - This European Standard specifies test methods and requirements for the strength and durability of tapered pressure tubes for self-supporting gas springs for the height adjustment in seating. Annex A (normative) contains product information. Annex B (informative) contains a guide for choosing the correct strength class.